Andy Park, Visual Development Supervisor & Concept Artist at Marvel Studios, has released an awesome new piece of unused concept art for Gamora, adding the assassin-turned-hero to other “Women of Marvel” designs he has shared over the past year, including Wasp, Mantis, Captain Marvel and Black Widow. This version of Gamora replaces the yellow-toned eye patterns with frosty purple accents that seem to drip down her face and wiry subcutaneous cybernetics. 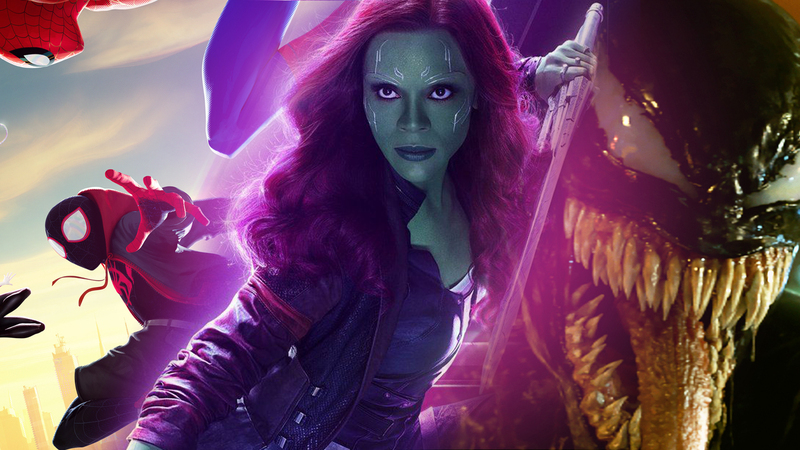 He previously shared an alternate version of this design that Gamora sporting purple skin. Much has been said about the exciting new animation style employed in the Golden Globe-winning movie that officially introduced Miles Morales into the Spider-Man movie mythos, but the animation wouldn’t mean much if the story wasn’t so darn good. Now, you can enjoy the adventures of a multiverse of Spider-themed heroes in the comfort of your own home and let you imagination do the animating by downloading the screenplay for the movie. Defying expectations, the story of Eddie Brock (Tom Hardy) and his symbiote was a tremendous hit, earning $855 million worldwide on a budget of “only” $100 million, and that’s without even a mention of our Friendly Neighborhood Spider-Man. It’s no surprise then that Sony is already prepping a sequel, with Variety reporting that Kelly Marcel, who helped pen the first movie, will be writing the sequel.